We’re a Brooklyn born men’s and women’s footwear brand. 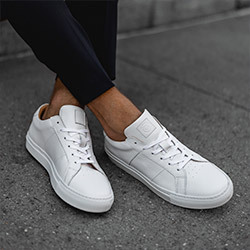 We design classically inspired sneakers with luxury high quality materials. By selling directly to you, we can offer incredible value for the quality. Do you offer free shipping and returns? Yes - to the continental US only (shipping to Alaska & Hawaii will be calculated at checkout). Click here for information about our shipping policy. Click here to see more information on our return/exchange policy. Where else can I buy GREATS? 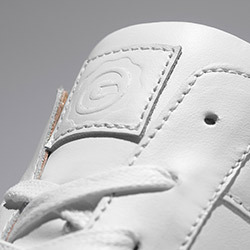 Please see our Visit Us page for more ways to shop GREATS. The item I want is sold out, how can I get it? We hate waiting too, but this happens sometimes. Sign up to be notified when we restock a shoe and you’ll get notified when it’s back. In order to sign up for a notification, please select the style and size shoe you would like to purchase. Then click the "NOTIFY ME WHEN AVAILABLE" button on the right side of the page. Then, as soon as we restock we'll send you an email notification. Yes! The insoles are removable on all of our styles. 10am – 9pm EST, 7 days a week.